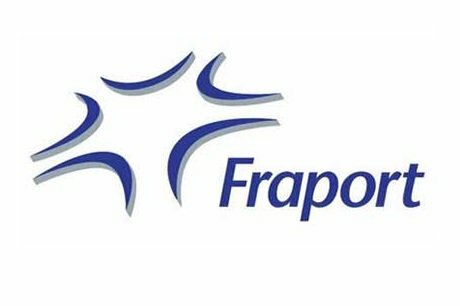 Fraport AG closed the first nine months of fiscal 2018 (ending September 30) with a significant 14.3 percent increase in Group revenue to EUR2.55 billion. Adjusting for revenue recognized in connection with expenses for expansion projects at Fraport’s Group companies worldwide (according to the IFRIC 12 accounting standard), revenue grew by 7.2 percent to EUR2.36 billion. At the Group’s Frankfurt Airport (FRA) home base, strong traffic led to higher proceeds from airport charges and security services, as well as increased parking revenue. With almost 53 million passengers served (up 8.4 percent), FRA achieved a new record high in the first nine months of 2018. Buoyed by strong passenger growth, airports in Fraport’s international portfolio also contributed positively to the Group’s increased revenue. In particular, major revenue contributions came from the Group companies in Brazil (up EUR66.1 million) and Greece (up EUR49.8 million) – both figures adjusted by IFRIC 12. The operating result or Group EBITDA (earnings before interest, taxes, depreciation and amortization) improved correspondingly by 9.0 percent to EUR880.4 million. Group EBIT rose by 7.4 percent to EUR580.3 million. The Group result (net profit) jumped by 10.4 percent year-on-year to EUR377.8 million. Free cash flow contracted from EUR388.0 million in the previous year to EUR82.2 million in the reporting period. Factors contributing to this included higher capital expenditure at FRA and the international Group companies, as well as changes in net current assets. Referring to the Group’s Frankfurt Airport global aviation hub, CEO Schulte stated: “This year’s strong growth has posed a challenge to the entire aviation industry, including our Frankfurt home base airport. All partners involved are working intensely to restore and enhance punctuality and reliability in air traffic. At Frankfurt, we have hired significantly more staff to achieve this goal. Ultimately, this measure has had a negative impact on our financial performance. Fraport AG’s executive board confirms the outlook for the current 2018 business year. Revenue, EBITDA and the Group result (net profit) are expected to reach the upper level of the margins forecast in the Fraport Annual Report 2017. Taking into account the additional revenue gained from Fraport’s sale of its stake in Flughafen Hannover-Langenhagen GmbH, Fraport expects to exceed these margins. The divestiture will have a positive impact of about EUR77 million on the Group result. In view of the ongoing strong passenger growth at Frankfurt, Fraport AG’s executive board revised the traffic outlook for FRA upwards when issuing the 2018 half-year interim report, to slightly over 69 million passengers for the full 2018 business year. Aviation: Revenue in the Aviation business segment rose by 5.9 percent to EUR763.5 million in the first nine months of 2018. Revenue growth at Frankfurt Airport was primarily driven by higher proceeds from airport charges, resulting from increased passenger traffic. Segment EBITDA soared by 15 percent to EUR231.5 million, despite higher personnel expenses. Segment EBIT climbed by 11.7 percent to EUR127.0 million due to higher depreciation and amortization, following an update of the useful life of assets as part of modernization. Retail & Real Estate: With EUR367.6 million, revenue in the Retail & Real Estate business segment dropped by 6.7 percent year-on-year. Significant lower proceeds from the sale of land compared to last year were the main reason for the decline. In addition, lower gains in the retail business also impacted the segment’s revenue in the first nine months. Net retail revenue per passenger slipped by 10.6 percent year-on-year to EUR2.96. In contrast, the parking business generated higher revenue. Segment EBITDA increased slightly by 0.6 percent to EUR290.0 million, while segment EBIT dropped by 0.9 percent to EUR223.6 million. Ground Handling: In the first three quarters of 2018, revenue in the Ground Handling business segment improved by 5.4 percent to EUR508.8 million. This was mainly attributable to increased proceeds from ground services. Due to strong traffic growth, personnel expenses rose significantly. Correspondingly, segment EBITDA shrank by 13.9 percent to EUR32.8 million, while segment EBIT markedly contracted by EUR7.9 million to EUR0.6 million. International Activities & Services: Revenue in the International Activities & Services business segment soared by 43.8 percent to EUR907.5 million in the first nine months of 2018. Adjusted by IFRIC 12, this segment posted 19.2 percent growth in revenue to EUR724.5 million. Major contributions came primarily from the Brazilian Group companies in Fortaleza and Porto Alegre (up EUR66.1 million) and Fraport Greece (up EUR49.8 million). Despite rising personnel expenses and cost of materials, segment EBITDA rose significantly by 16.4 percent to EUR326.1 million. The segment EBIT improved by 19.1 percent to EUR229.1 million.